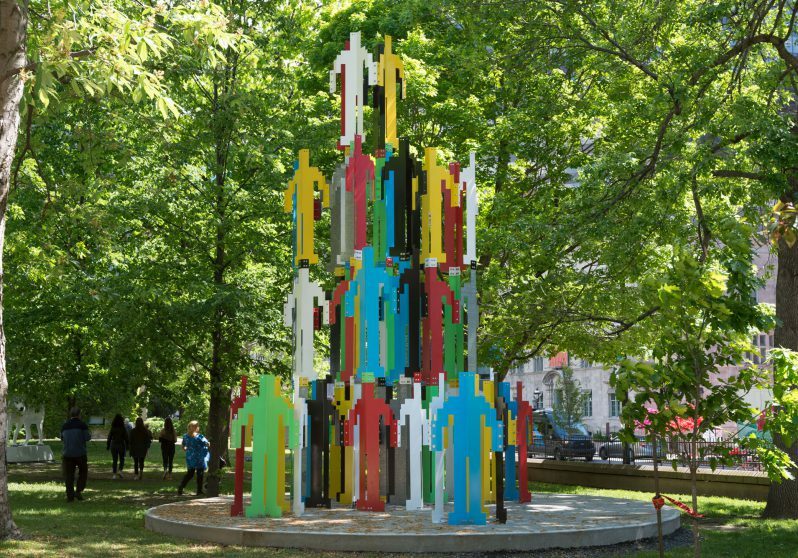 If you miss seeing a few of your favourite public works around the city after the conclusion of the 2014-2016 Vancouver Biennale, you now have a chance to re-visit some of them in Montreal. The Vancouver Biennale is proud to support the Montreal Museum of Fine Arts for the exhibition La Balade pour la Paix: An Open-air Museum. This is the museum’s first outdoor public-art exhibition and celebrates several worthy milestones including the 375th anniversary of Montreal, the 50th anniversary of Expo 67 and the 150th anniversary of Canadian Confederation. The exhibition theme is an expression of fundamental values of humanism, peace, inclusivity, and accessibility, much like the enduring values promoted by Expo 67 when it opened Montreal and Quebec to the world. 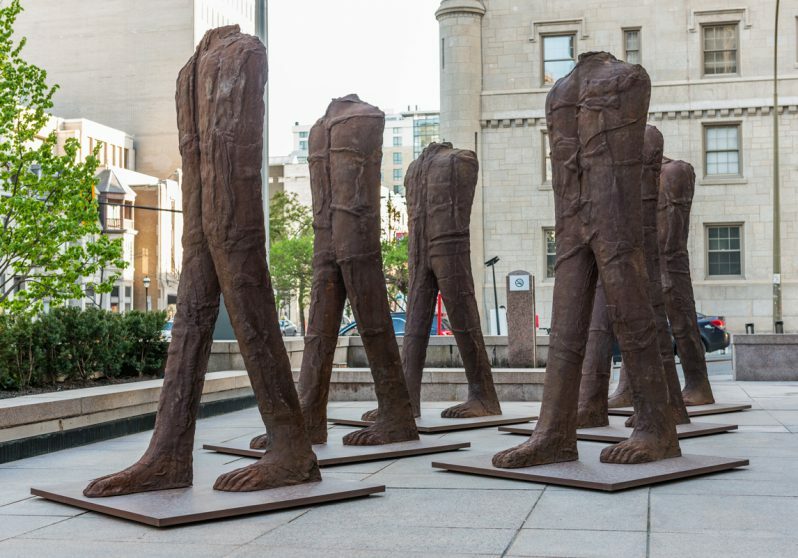 Three Vancouver Biennale works are currently on loan and featured in the exhibition, which include Wang Shugang‘s The Meeting, Magdalena Abakanowicz‘s Walking Figures and Jonathan Borofsky‘s Human Structures. These works were recently part of the 2014-2016 exhibition Open Borders/Crossroads, a theme that similiary served as an invitation for artists to bridge global connections through public art and space. 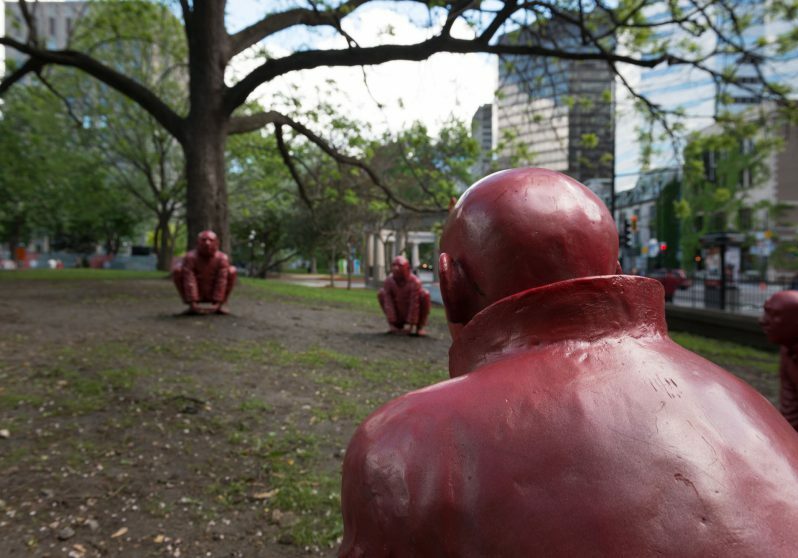 La Balade pour la Paix is a kilometre long art walk between the Montreal Museum of Fine Arts and McGill University, and showcases 29 international artists. This exhibit is on display from June 5 to October 29, 2017.